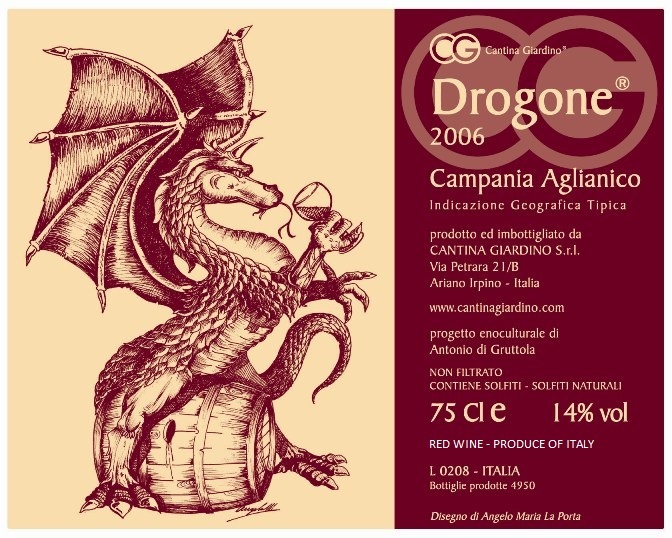 One of the best wines we bring in…..the Drogone. From 80 year old vines farmed organically. Vinified with natural yeast in 30 HL barrels without sulphur…after a long maceration of 60 days and 2 years of rest…it is bottled once again without sulphur. It’s a serious Aglianico…smoky and minerally…with beautiful dark fruit carried by great acidity. Salute!